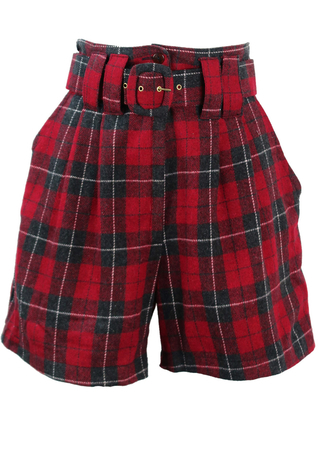 High waist tartan shorts in red, grey and white with a matching belt. 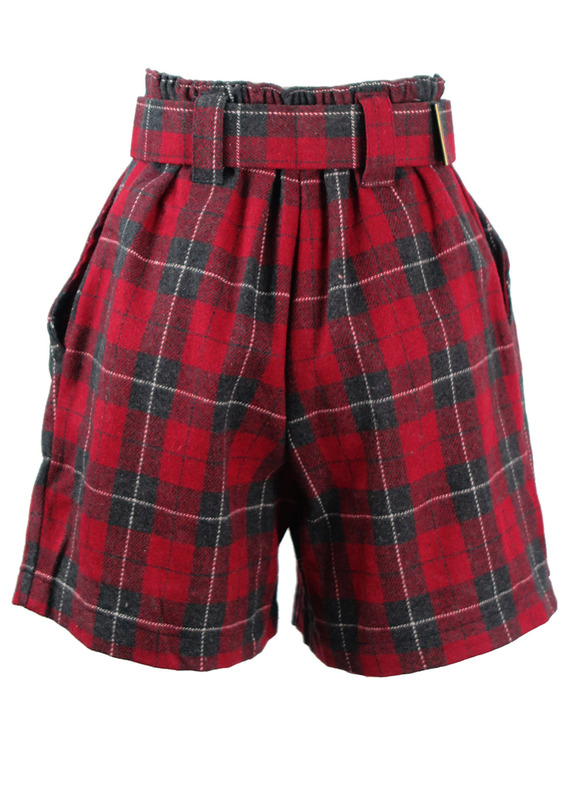 The waistband is elasticated at the back and we have provided measurements with the waistband non stretched and stretched without distorting the overall shape of the shorts. 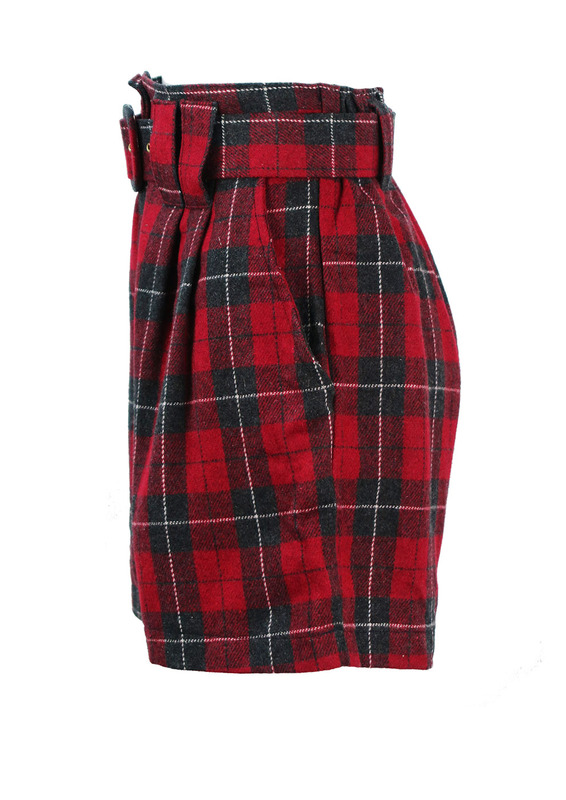 Although there is no fabric label, the shorts have a wool or part wool feel to them and are in excellent condition.